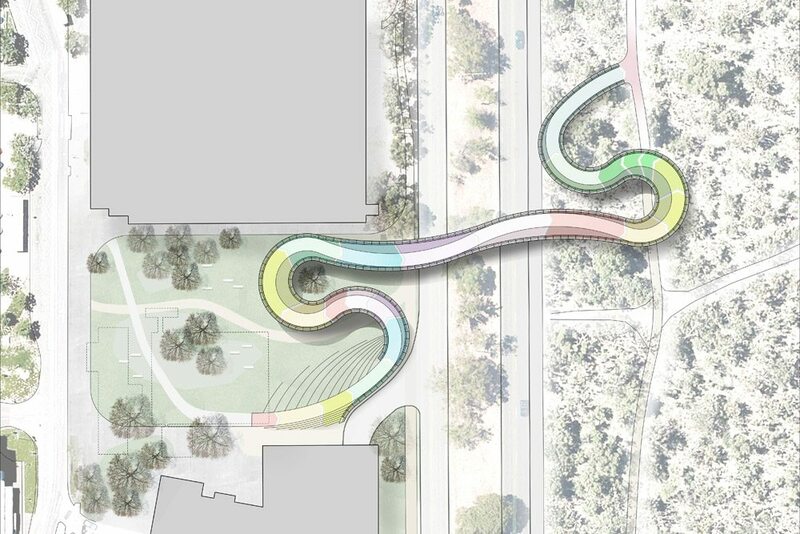 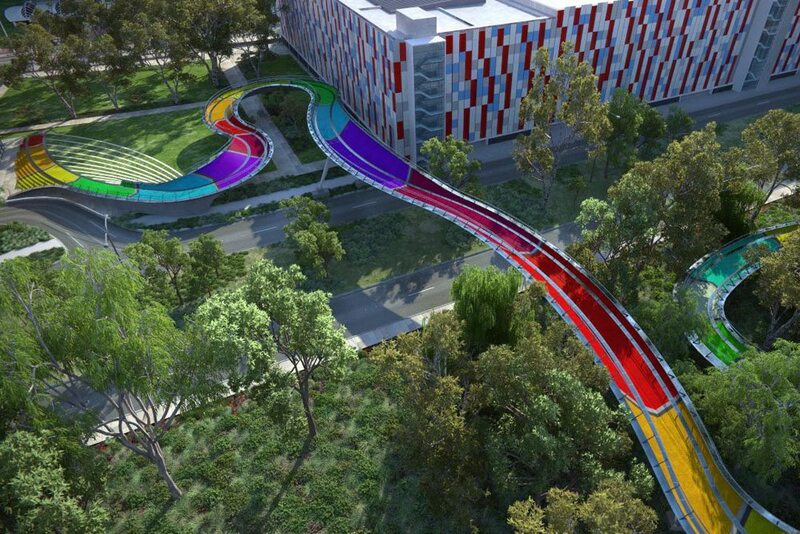 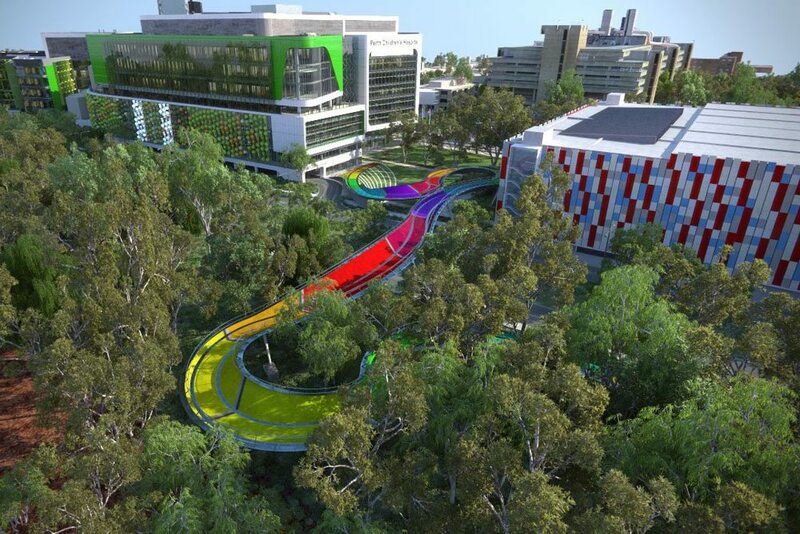 The Kings Park Link connects the New Perth Children’s Hospital to Kings Park & Botanic Gardens across Winthrop Avenue. 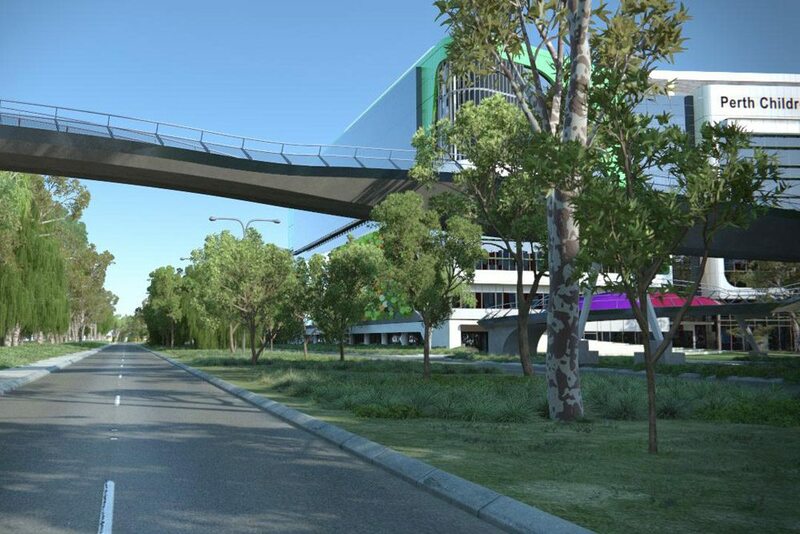 The 317m crossing follows a serpentine alignment through complex and constrained site conditions on both sides of the 40m main span. 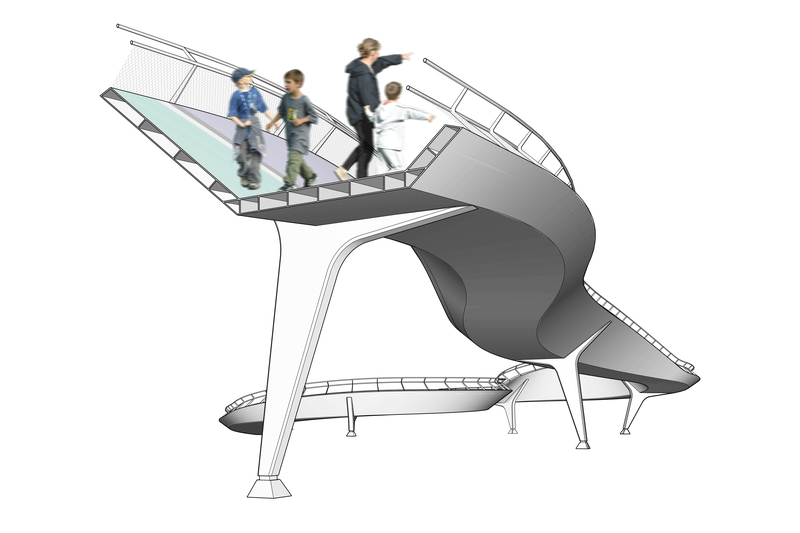 The deck surfaces are banked up on either side in direct response to the forces acting on the structure, providing a playful sloped footway for children to explore. 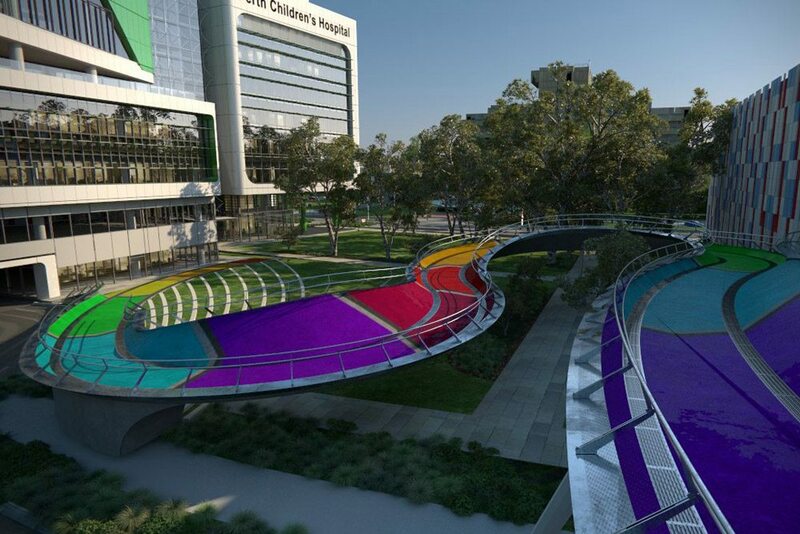 The fluid geometry and vibrant colours of the deck create a distinctive aesthetic that is particularly apparent from the hospital. 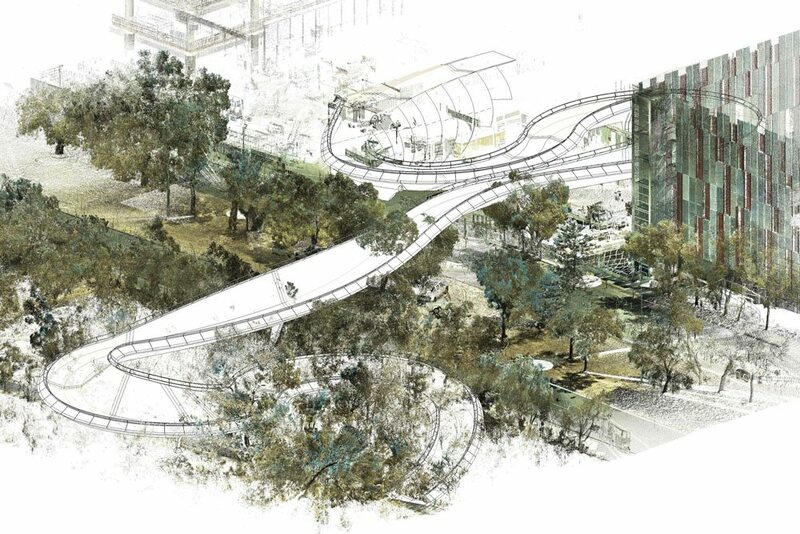 Within Kings Park the approaches are arranged to minimise disruption to protected habitats, meandering through sensitive vegetation and utilising low-impact construction methods.